The new full-service VFX business will aim to cut costs for clients without sacrificing quality. Three VFX veterans from Robert Zemeckis’ recently shuttered ImageMovers Digital have launched a new facility in Emeryville, Calif.
Named Atomic Fiction, the business was co-founded by Kevin Baillie, who serves as president and VFX supervisor; Ryan Tudhope, creative director and VFX supervisor; and Jenn Emberly, performance and animation supervisor. At ImageMovers, Baillie, Tudhope and Emberly served as VFX supervisor, digital FX supervisor and performance supervisor, respectively. All three bring many years of experience to the company. Ballie's credits include Pirates of the Caribbean: At World's End and Harry Potter and the Goblet of Fire; Tudhope's include Pirates of the Caribbean: Dead Man's Chest and Superman Returns; and Emberly's include Pirates of the Caribbean Dead Man's Chest and War of the Worlds. Atomic Fiction is opening in Emeryville — also home to Pixar Animation Studios — as a full-service business, with art direction and concept design. It is focusing on high-end character work and digital environments as well as fire and water effects and compositing. Stereoscopic 3D and performance-capture services are available. The company opened with nine employees, eight of whom come from ImageMovers, which also was based in Northern California. Disney last year made the decision to close the ImageMovers studio led by Zemeckis, Jack Rapke and Steve Starkey. The company handled production of Zemeckis’ A Christmas Carol and recently completed Mars Needs Moms, a Simon Wells-helmed animated pic slated for a March 11 release. 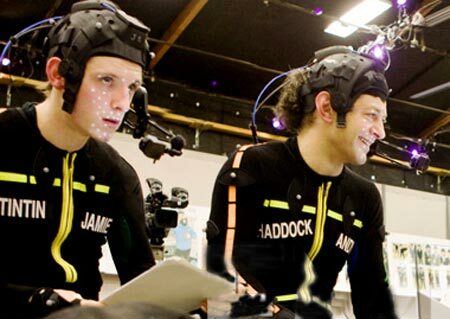 ImageMovers also completed a test for Zemeckis’ performance capture/3D adaptation of Yellow Submarine. Atomic Fiction plans to operate with low overhead at a time when VFX businesses are asked to do more with less. Using Emeryville as its data center, the company also is considering the use of satellite bases in areas such as in Louisiana or Vancouver, where it can benefit from financial incentives. Atomic Fiction just completed work on its first project, soon to be released romantic comedy Just Go With It, and is working on another feature and a music video. ImageMovers alum Doug Chiang — who did the production design for ImageMovers movies — is in development on an independent film, Robota, which he will write and direct, and Atomic Fiction is helping him plan shooting methodologies and VFX strategy. The closure of ImageMovers affected 450 employees, with the staff steadily being reduced over several months. There were roughly 100 artists at the facility when it closed in December. Talent went to VFX houses such as Digital Domain, ILM and WETA Digital, and several other VFX businesses led by ImageMovers alums are launching. Mars Needs Moms lands this spring. Courtesy of ImageMovers Digital. This is the second and final collaboration between Robert Zemeckis' ImageMovers Digital and Walt Disney. In this performance-capture film, a young boy learns that his mom ain't so bad after she is kidnapped by Martians. Adult Swim, ShadowMachine Films, Stoopid Monkey and Williams Street all have a hand in this production as well. Matte World Digital provided visual effects and The Third Floor the previz. Seth Green is voicing the young hero and he is joined by Joan Cusack, Breckin Meyer, Dan Fogler and Billy Dee Williams. Simon Wells, who helmed Balto and The Prince of Egypt, is the director. When Gore Verbinski was directing his upcoming movie, "Rango," a spaghetti western-like tale set in a desert town overrun by bandits, he did what he typically does: have his principal actors, led by Johnny Depp and fellow cast members that include Harry Dean Stanton, Abigail Breslin and Ray Winstone, act out key scenes. The actors wore western costumes — Depp sported a giant cowboy hat and bandana and Winstone packed a sidearm. a saloon with a 40-foot-long wooden bar and the requisite swinging doors and even a chuckwagon. to capture the voice tracks for his first animated film, "Rango," about a chameleon — played by Depp — with an identity crisis. Verbinski, best known for directing the first three "Pirates of the Caribbean" movies. "Why give up on what we do in live action?" With the extensive use of computer-generated animation, or CG, in movies such as the "Pirates" franchise, "Avatar" and "Alice in Wonderland,"
the lines are blurring between live-action and animated pictures in a way that Walt Disney himself could have scarcely imagined. That has created opportunities for directors, cinematographers and even production designers to transfer their skills from one medium to another. "As live-action filmmaking, in terms of its process and tools, comes closer and closer to the way we've always made our animated movies, the crossover has been made much easier for filmmakers,'' said Bill Damaschke, co-president of production for Glendale-based DreamWorks Animation. "It's probably exploded over the last two or three years." In a sign of that crossover, DreamWorks Animation recently partnered with Guillermo del Toro, director of such dark fantasy films as "Pan's Labyrinth" and such supernatural action movies as "Hellboy." Del Toro spends at least two days each week at DreamWorks, where he is writing and directing his first animated feature, "Trollhunters," a story about kids experiencing growing pains in a magical world. "It's almost an irresistible medium to play in,'' said Del Toro. "I'm a filmmaker who is interested in truth and not reality, and I think there is great emotional truth and power to be found in animation." Steven Spielberg and Peter Jackson, two of Hollywood's biggest names, are making two films based on the popular graphic novel series "Tintin" that combine 3-D performance-capture technology and computer animation. Spielberg is directing the first, "The Adventures of Tintin: The Secret of the Unicorn," due in late 2011; Jackson will direct the second (a third film is also a possibility). Today, animation is a significant profit source for Hollywood's studios and, not surprisingly, attracting the interest of filmmakers. In 2010 alone, four of the top 10 movies at the box office were animated films, including "Toy Story 3" and " Shrek Forever After." This year, Hollywood will release 15 animated films — up from 12 in 2010 and close to the record number of 17 reached in 2002, according to Hollywood.com. "For a long time, people in live action viewed animation as a sleepy backwater that really wasn't considered mainstream filmmaking,'' said Steve Hulett, a former Disney animator and business representative for the Animation Guild. "Today, the attitude is much different. I think people have a lot more respect and a little bit of awe." By hiring filmmakers who have worked in live action, animation studios hope to bring more realism to their movies. "There's a whole wealth of experience of telling stories in live action that is now being applied to animation, from the movement of cameras, to how shots are framed and the mode of lighting," said Roger Deakins, a cinematographer who worked as a visual consultant on the DreamWorks movie "How to Train Your Dragon." Industrial Light & Magic, the visual-effects house owned by filmmaker George Lucas, turned to Verbinski — with whom the studio had worked on the first three "Pirates" movies — to create a distinctive "photographic look" for "Rango," which Paramount Pictures will release in March. Verbinski was familiar with the process of storyboarding and working with computer animators — about 60% of the third "Pirates" film used computer animation — but other aspects were foreign. In making digital animated movies, directors don't set foot on a studio set and cinematographers don't frame shots from behind the camera on a dolly. Instead, the picture is made entirely on a computer, where the filmmakers use software programs and technology that simulate the functions of a set or a camera. Directors help shape the initial "story reel" (the rough drawings that lay out the story), guide actors during voice recordings and work closely with animation supervisors and technicians as they create digital characters and scenes one frame at time. A finished animated film can total 130,000 frames and takes two years or more to make. At DreamWorks, Del Toro worked as a consultant on its recent computer-animated film "Megamind" and the second installment of "Kung Fu Panda" and has been tapped to be executive producer on two other upcoming films, "The Guardians" and the Shrek spinoff "Puss in Boots." "Guillermo brings a unique vision and unmatched level of inventiveness to his storytelling,'' DreamWorks' Damaschke said. He citied Del Toro's advice in creating a visually more dramatic opening sequence in "Megamind," with the inept villain in perilous freefall, and tightening the pace of the film, which was cut by several minutes. It's not only live action directors who are venturing into animation. On "Rango," for example, Verbinski was joined by visual effects supervisor John Knoll and production designer Mark McCreery, both of whom worked with him on the "Pirates" movies. McCreery, who created the Davy Jones character in "Pirates," crafted similarly lifelike creatures in "Rango," including a turkey named Gory that "looks so real you feel like you could reach out and touch it,'' said Knoll. The team spent hours watching spaghetti westerns such as "The Good, the Bad, and the Ugly" to absorb director Sergio Leone's style, including how he filmed campfire and desert scenes. Verbinski revisited the town in Mexico, Real de Catorce, where he filmed "The Mexican" for ideas on how the fictional town of Dirt should look. Knoll and his team then created a three-dimensional computer model of Dirt and used a motion-capture stage at ILM that was equipped with a monitor called a virtual camera that allowed Verbinski to view the town from different angles and then frame the best shots and angles to guide the animators. "We were using a lot of the same visual shorthand that we developed during the 'Pirates' pictures,'' Knoll said. Even though animated movies don't use physical cameras on the set, cinematographers are still needed to decide how shots should be framed with a "virtual camera" inside the digital world as well as how best to light them. For example, "How to Train Your Dragon" producer Bonnie Arnold tapped Deakins, known for his use of atmospheric lighting in such films as "No Country for Old Men," to create naturalistic lighting for a variety of scenes in the DreamWorks film — from a moonlight flying sequence to a tender scene between a father and son in a workshop illuminated only by candlelight. "We created something that mimics candlelight and wraps around the characters faces' so you can see their expressions,'' Deakins said. "You want the audience to feel like these characters are in the real world." Though it comes as no surprise, official word that Andy Serkis has signed on for The Hobbit should make fans very pleased. Serkis is best known, of course, for his motion-capture performance in the role of Gollum in the original Lord of the Rings films. The character made his first literary appearance in J.R.R. Tolkien's The Hobbit, confronting Bilbo in the chapter "Riddles in the Dark," which also features a very familiar golden ring. More actors are expected to sign on for the two-part Peter Jackson film in the near future, including Christopher Lee as Saruman and Ian Holm as an older Bilbo Baggins. Elijah Wood and Andy Serkis are set to join the cast of Peter Jackson’s highly anticipated adaptation of J.R.R. Tolkien’s epic “The Hobbit.” The films, which are scheduled to commence principal photography in February 2011, mark Jackson’s return to Middle-earth following his Oscar-winning “Lord of the Rings” trilogy. The announcement was made jointly today by Toby Emmerich, President and Chief Operating Officer, New Line Cinema, Alan Horn, President and Chief Operating Officer, Warner Bros. and Steve Cooper, co-Chief Executive Officer of Metro-Goldwyn-Mayer Inc.
Jackson, who directed all three “Lord of the Rings” films, will helm the two films back-to-back, telling the story of “The Hobbit” in two parts from a screenplay by Jackson, Fran Walsh, Philippa Boyens and Guillermo del Toro. Elijah Wood (“The Lord of The Rings” trilogy, “Eternal Sunshine of the Spotless Mind”) will be returning to play Frodo Baggins the young cousin of Bilbo Baggins and Andy Serkis (“The Lord of The Rings” trilogy, “King Kong”) will be returning to play the character Gollum. Peter Jackson welcomed the two back. "I cannot imagine returning to Middle-earth without these two wonderful actors. We began this journey together ten years ago and I couldn't be more thrilled to be working with Elijah and Andy again." The actors join the previously announced cast including Martin Freeman (TV’s “Sherlock,” “Breaking and Entering”) as Bilbo Baggins, Cate Blanchett (“Lord of The Rings” trilogy, “The Curious Case of Benjamin Button”). Ken Stott (“Charlie Wilson’s War”, TV’s “Rebus”), Sylvester McCoy (TV’s “Doctor Who”), Mikael Persbrandt (“Everlasting Moments”, “Day and Night”). Ryan Gage (“Outlaw”, TV’s “Doctors”). Richard Armitage (upcoming “Captain America: The First Avenger”), Aidan Turner (TV’s “Being Human”), Rob Kazinsky (TVs “EastEnders”), Graham McTavish (“Secretariat”), John Callen (TV’s “Power Rangers Jungle Fury”), Stephen Hunter (TV’s “All Saints”), Mark Hadlow (“King Kong”) and Peter Hambleton (TV’s “The Strip”). Additional cast announcements include James Nesbitt (“Millions” and TV’s “Cold Feet”) Jed Brophy (“Lord of The Rings” trilogy, “District 9”), William Kircher (“Out of the Blue”) and newcomer Adam Brown. Since “The Hobbit” films received a green light on October 15, pre-production has been in full swing with release dates targeted for December, 2012 and December, 2013. Jackson will utilize groundbreaking visual effects and his incomparable storytelling to bring J.R.R. Tolkien’s novel to the big screen. Both “Hobbit” movies will be filmed in Digital 3-D, using the latest camera and stereo technology to create a high quality, comfortable viewing experience. WASHINGTON — The Department of Justice announced today that it has reached a settlement with Lucasfilm Ltd. that prevents it from entering into agreements restraining employee recruitment. The department said that the agreement between Lucasfilm and Pixar eliminated important forms of competition to attract highly skilled employees and, overall, significantly diminished competition to the detriment of affected employees who were likely deprived of information and access to better job opportunities. The Department of Justice’s Antitrust Division filed a civil antitrust complaint today in U.S. District Court for the District of Columbia, along with a proposed settlement that, if approved by the court, would resolve the lawsuit. Today’s complaint arose out of a larger investigation by the Antitrust Division into employment practices by high tech companies. In September 2010, the Antitrust Division reached a settlement with Adobe Systems Inc., Apple Inc., Google Inc., Intel Corp., Intuit Inc. and Pixar that prevented the companies from entering into no solicitation agreements for employees. According to today’s complaint, Lucasfilm and Pixar agreed not to cold call each other’s employees; agreed to notify each other when making an offer to an employee of the other company; and agreed, when offering a position to the other company’s employee, not to counteroffer with compensation above the initial offer. The department said that Pixar is not a named defendant in today’s complaint because the relief the department obtained in the previous settlement is sufficient to prevent Pixar from entering into these types of agreements. "The agreement between Lucasfilm and Pixar restrained competition for digital animators without any procompetitive justification and distorted the competitive process," said Christine Varney, Assistant Attorney General in charge of the Department of Justice’s Antitrust Division. "The proposed settlement resolves the department’s antitrust concerns." The digital animation sector faces strong demand for employees with advanced or specialized skills. A principal means by which digital animation companies recruit these employees is their direct solicitation, referred to as "cold calling." Savvy employees can use these companies’ tactics to extract multiple rounds of bidding, thus increasing their eventual salaries. These forms of competition, when unrestrained, result in better career opportunities, the department said. The complaint alleges that the companies’ actions reduced their ability to compete for digital animation workers and interfered with the proper functioning of the price-setting mechanism that otherwise would have prevailed in competition for employees. None of the agreements was limited by geography, job function, product group or time period. The proposed settlement, which if accepted by the court will be in effect for five years, prohibits the companies from engaging in anticompetitive agreements relating to employee hiring and retention. Although the complaint alleges only that the companies agreed to certain practices, the proposed settlement more broadly prohibits the companies from entering, maintaining or enforcing any agreement that in any way prevents any person from soliciting, cold calling, recruiting or otherwise competing for employees. The companies will also implement compliance measures tailored to these practices. Lucasfilm Ltd. is a California corporation with its principal place of business in San Francisco. The proposed settlement, along with the department’s competitive impact statement, will be published in The Federal Register, as required by the Antitrust Procedures and Penalties Act. Any person may submit written comments concerning the proposed settlement within 60 days of its publication to James J. Tierney, Chief, Networks & Technology Enforcement Section, Antitrust Division, U.S. Department of Justice, 450 Fifth Street N.W., Suite 7100, Washington D.C. 20530. At the conclusion of the 60-day comment period, the court may enter the final judgment upon a finding that it serves the public interest. and character animation, has converted a Kinect sensor into a cheap, but effective mo-cap rig. and turns it into a 3D point could, which is effectively a three-dimensional map of the area. and then streams it via a custom build plug-in to the Motion Builder animation software. he'd consider putting it on his blog. and animators, as motion capture can be prohibitively expensive for a lot of people. but it will be still be a big step up for people who previously couldn't use mo-cap at all.